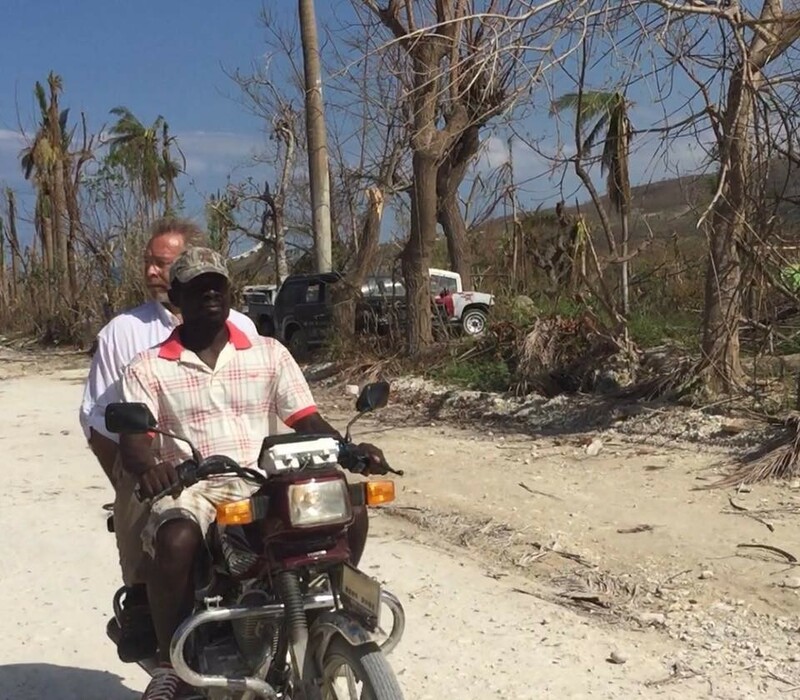 I have just returned from three days in Haiti in the aftermath of Hurricane Matthew. The scenes are shocking and dispiriting. While approximately a million Floridians temporarily lost their electricity last week, I would say that more than ten million Haitian citizens lost much, much more when the storm passed over the island the week before. Haitians not only lost their power but likely more than a thousand lives, much of their property, and crippling amounts of infrastructure, vehicles and boats, medical facilities, equipment and supplies. Both the public and private sectors were hit hard, and in my estimation, the effects are not temporary, but long term. In particular, the damage to sanitation and water systems has increased vulnerability to cholera, Zika and other communicable diseases. Already, the Haitian the Ministry of Public Health and Population has begun reporting new cholera cases and deaths attributable to contaminated water and exposure to raw sewage. As many know, the Haitian earthquake of January 2010 had a gripping effect on me, so much so that I went to Haiti and returned there many times over the past six years to assist the recovery of tens of thousands of survivors. These are people in the largest camps, consigned to the desert outside Haiti’s capital Port-au-Prince. Over this time and despite the dire conditions, these environmental refugees have maintained a remarkable humanity and will to live, an admirable commitment to cooperate with each other, and the discipline to remain tolerant with each other and their government. As much as anyone, these beleaguered Haitians deserve our recognition. If it were in my power, I would give them the Nobel Peace Prize. Thus, part of my reason for this trip was to learn how the hurricane affected the chronic destitution of these earthquake survivors that I know and care about. What were their losses and how they were holding up under the additional distress of another natural disaster. Another purpose, of course, was to see what the hurricane did to the rest of the country. In this, it is important to make a distinction. The earthquake was relatively localized in a south-central core of Haiti, but under cities and towns that were and are still populated densely, two million or more. The hurricane on the other hand, hit especially hard the whole broad southern half of the country. This was a much larger geographical area, where the population of another two million is more dispersed throughout the agricultural countryside and in a few mid-sized coastal cities – Jeremie, Lew Cayes, Aquin, to name a few – that are packed onto narrow plains between the growling sea and steep deforested mountainsides.